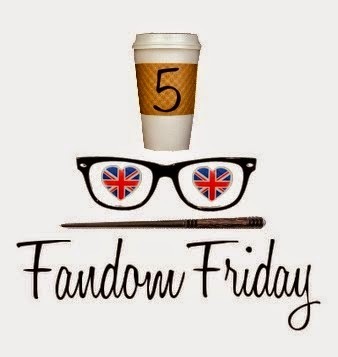 #5: LeakyCon! The videos that I have seen from LeakyCon are incredibly entertaining, and those are just of the group performances XD From what I've heard, this convention is an incredible experience filled with all sorts of fandoms - but especially Harry Potter :P I feel like I'll need to actually read the HP books or I'll get stabbed upon entering this con, so that's definitely a thing I'll need to do. 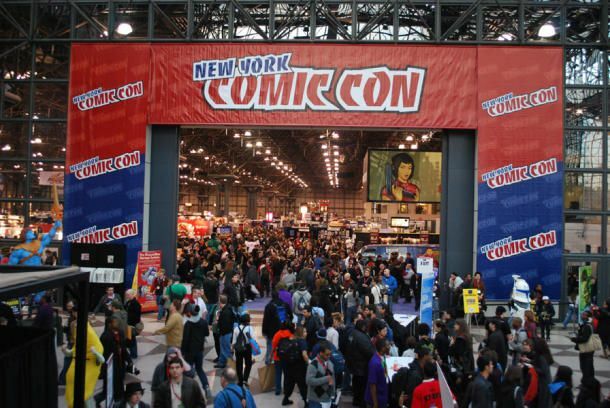 #4: New York Comic Con! From what I've heard, NYCC is the biggest comic con around. It's not that I've never been to a comic con before; I visited Niagara Falls Comic Con for the first time last year, and it was basically just a big dealer's room with a very small number of events. I already know for a fact that NYCC has a bunch of awesome events. At NYCC 2014 there was an event co-hosted by the IGGPPC and Geek Girl Brunch, which I wish I could've attended so badly. Hopefully if the IGGPPC co-hosts another event, I'll actually get to attend and meet some more iggles in person! #3: Penny Arcade Expo! Luckily there are different PAX held all over the place, and the way I see it, eventually there will be a PAX close enough to me that I won't have to live off bread and water for a month in order to afford the expo pass, hotel and air fare. I'm hoping that the PAX I'm able to attend will be one that Anthony and Ashly Burch are also attending - it would be so amazing to meet them! #2: VidCon! Not only would this be an incredibly convention to attend in order to meet all of my favorite YouTubers, but as somebody who hopes to get back into vlogging very soon I'm hoping that one day attending this convention will double as a networking opportunity for me :) There are a few people that regularly attend this con that I would love to meet as well, such as @BeccaBumblelee and Katie Campshure. #1: You knew it was coming . 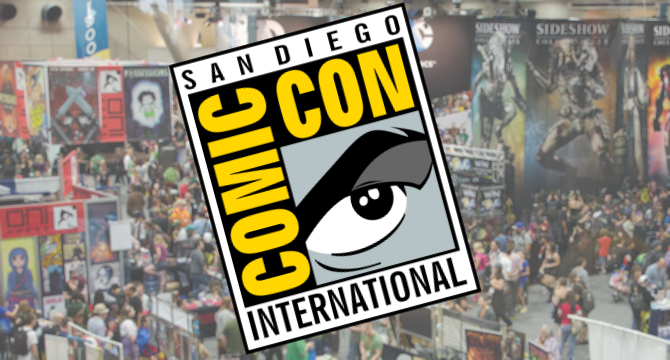 . . Of course SDCC would be on this list! How could it not be, right? What self-respecting nerd wouldn't want to experience this nerdvana at least once in their life? Well, I suppose nerds that really don't do well with crowds would want to steer clear, that would make sense . . . Either way, this con is definitely #1 on the bucket list. I want to check out panels that I've only ever watched online, I want to take in the miles of exclusive merchandise, and I'd love to network with a bunch of people that attend this con that I've only ever met online, such as the amazing ladies that are a part of the Female Geek Bloggers G+ community, and especially the awesome-tastic ladies Liz Lockley & Mia Moore, both adorned in their first class cosplay :) I have a possibly unrealistic goal of hoping to attend SDCC 2016, but you never know unless you try, am I right? Let's see how it goes! I love your list! It's fun to see the different conventions people picked! I enjoy NYCC and SDCC! Great list! I think the location of Cons is always another great draw to get to explore!